Alex Plakas is a partner in the Corporate Department who regularly represents private equity sponsors and public and private company clients in complex business transactions, including leveraged buyouts, strategic mergers, acquisitions, divestitures, joint ventures, growth equity investments, recapitalizations, executive compensation and equity incentive arrangements, and related general corporate and securities law counseling. He has been responsible for structuring, negotiating, documenting, and closing a wide variety of these transactions ranging in size from several million dollars to more than $1 billion. 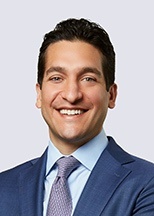 Alex additionally acts as outside general counsel to many privately held companies (including the portfolio companies of his private equity clients). Honigman represents ProPharma Group, a global industry leader in comprehensive compliance services and a Linden Capital Partners portfolio company, in its acquisition SOLUTIONS in Health Inc.